What a year 2010 has been! Since we started in August, we've had almost 10,000 hits! We must be doing something right! We've had a fun time trying to educate, empower, and entertain all the readers out there. Please let us know what you did or did not like so we can better serve you. We have a lot to look forward to in 2011. It's going to be an exciting year so far as Jessica and I are concerned. Jessica is having great training and is looking forward to some PRS and. getting on the podium at Nationals. My goals are to win the Pan Am Games and get as close to the podium as possible at the World Championships. 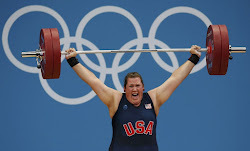 Melanie Roach told a newspaper that she plans on retiring from weightlifting this year. Shahin Nasirinia 1999 World Champion is going to be coaching the Team AZ weightlifting club. We have gotten a request to have some "Swag." We would love to! We need a design though. We'd like to have a contest. 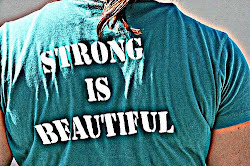 Make a design for "Pretty Strong" that we can use on Tshirts and other junk. We'll decide who the winner is and get some gear! More details to follow. Our goal is to have a meet for girls only and call it the "Pretty Strong Open." All of the proceeds go to charity. We're hoping to have it in May and have it as a "Last Chance Qualifier" for Nationals. It will be sanctioned! That's enough writing for now. We hope you all had wonderful holidays! Love to see your training videos! You inspire us all! We also love to hear your feelings about lifting - both the good days of training and the tough stuff. 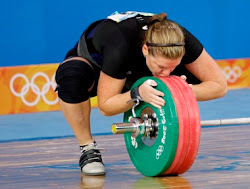 It let's all of those (oh wait, there are only about 7,000 registered weightlifters in the US - ugh!) other weightlifters out there feel like we aren't alone and someone else understands the mental discipline it takes to never achieve perfection! 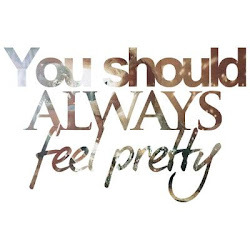 :) Keep it up - you ladies are fabulous! I found your blog recently on the usa weightlifting website. I have really enjoyed reading it and watching videos. I have been lifting strictly since probably the summer time. 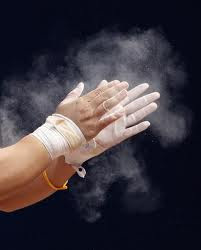 I love olympic lifting. I hope to be really good one day. I am training hard. Have been to 3 competitions. Trying to perfect these lifts and the mental challenge is very difficult. Thank you for all the work you do and goodluck with your competitions.